Iraqi refugee Souad Awad moved in with Austrian kindergarten teacher Margarethe Kramer just a month ago and already the two have become friends. Souad arrived in Austria in November 2015 and stayed at an asylum accommodation centre in the city of Klagenfurt for six months where she helped in the kitchen. I feel like I am living in heaven now. In June this year, she had the opportunity to move in with Margarethe. They were matched through Diakonie, a Christian welfare organization. Margarethe, whose husband is away for work most of the week, is delighted to have the companionship. Problems began for Souad, 49, in 2014 when she was working as a wedding photographer in the Iraqi capital, Baghdad. She had been working late and was on her way home when a man forced her into his car at gunpoint and demanded to know why she was not veiled. She said he fired questions at her: where was she from and didn’t she know that photography was forbidden? She was not held for long but soon afterwards her husband, who attended the mosque, started receiving threats against his life unless he divorced his wife. A few weeks later, he was poisoned with thallium, a highly toxic compound. He was temporarily paralyzed and was admitted to hospital. When his health improved, he and Souad divorced. The couple had no children and a day after the papers were signed, she left Iraq in November 2014, without looking back. She first went to Turkey, where she stayed for almost a year, and then crossed to Greece in a dinghy. The journey was long and difficult, not only because she was a woman travelling alone, but also because she suffers from diabetes. She boarded a train for Germany with other refugees but asked to be let off in Austria because she felt tired and ill, and went to the police and immigration authorities. The whole experience enriched my life, with friendship and companionship. 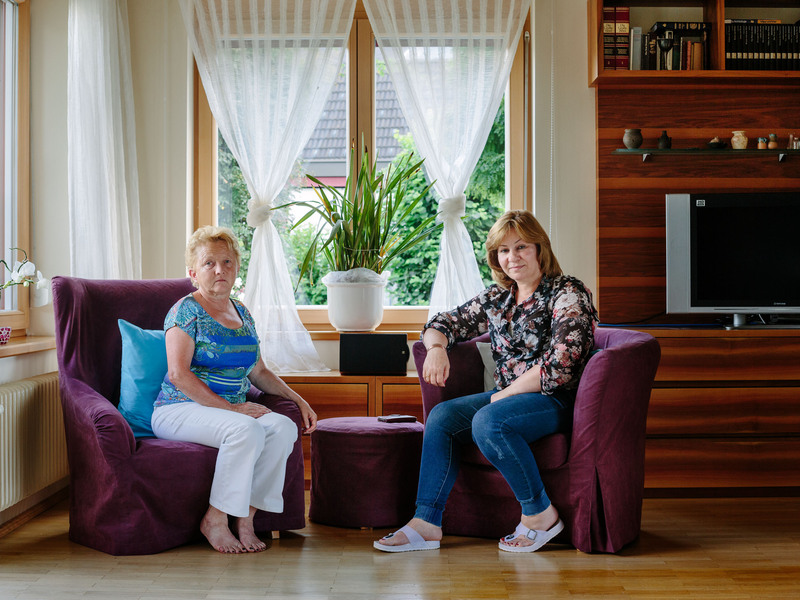 She said she had learned more German by living with Margarethe for one month than she has in the previous six months living in the asylum centre. For Margarethe, having Souad around could not have worked out better. “The whole experience enriched my life, with friendship and companionship,” said Margarethe, 59. Souad is trying to learn German and hopes to continue working as a photographer and videographer in Austria.